Snuggle Swing swaddles children with security and comfort. Parents expect a smooth and secure ride for their precious child and that’s exactly what they appreciate in this infant-toddler swing. The Snuggle Swing is designed with babies and toddlers in mind. It’s simple for a parent to load their child and provides plenty of support and comfort for its rider. It allows countless hours of active play experiences for young children and easily mounts on most swing sets. Sturdy double wall plastic with soft curves and rounded edges make this an easy choice for a child’s first swing. Made in the USA. Choosing colors is quite the arduous process so instead of hedging our bets on what we thought would be best, we asked our best consultant, YOU! For the Snuggle Swing we asked our social followers what color combination would work best for their backyards. Each of our Snuggle Swings is assembled, roped and leveled prior to being packaged, to ensure you get the best possible product. All you have to do is adjust the straps. We continue to find ways to improve the design and function of our products all the way up to production. For this toddler swing that meant changing the back of the swing to account for the anchors resulting in a smooth surface. Cozy Snuggle Swing swaddles children with nest like comfort and provides a strong sense of security for toddlers and parents alike. Colorful, easy to load children's first swing is the latest in the “snuggle factor series” of products from Simplay3! It’s simple for a parent to load their child and provides plenty of support and comfort for its rider. Durable, double wall plastic with soft rounded edges and sturdy support bar with seat belt harness combine to offer a secure ride. Easily mounts on most swing sets. Recommended age is 9–36 mos. Max. weight is 50 lbs. Prices are delivered to the home with shipping already included in the price! 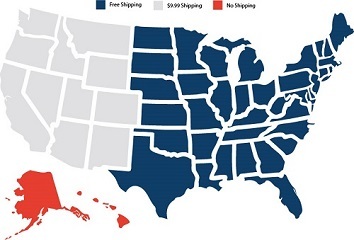 * (*There is an additional $9.99 charge for items shipped to the western half of the United States). Simplay3.com does not ship outside the contiguous U.S. at this time. My little girl loves this swing. Shes about to be one and it fits her well..